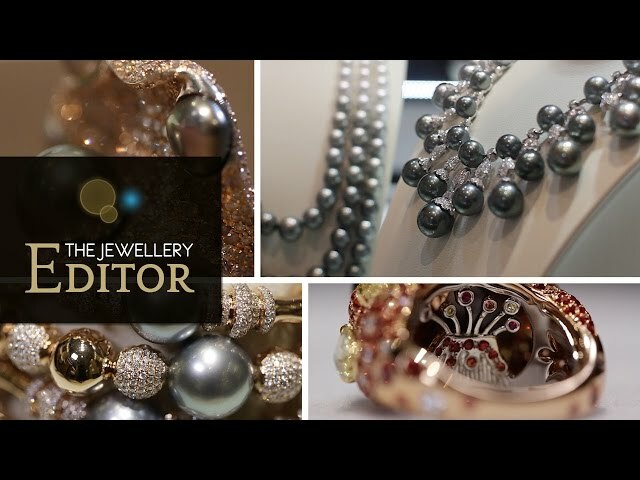 In this video The Jewellery Editor highlights her selection of the best three white pearl jewels from Autore, Glenn Spiro and Mizuki that she has seen on her travels around the world so far this year, from Baselworld to the Couture Show in Las Vegas. The white pearl is regaining its rightful role as the queen of gems and, thanks to celebrity followers like Angelina Jolie, we are seeing more of them on the Red Carpet. I think what we are appreciating is the fact that these are created by a living creature and therefore a reflection of our delicate eco-system. Here is my selection of the top three white pearl jewels that I have seen on my travels around the world so far this year. My first choice comes from pearl house Autore of Australia, which was founded in 1991. Autore has won many awards for its design, including one at the Couture Show this year in Las Vegas. Autore is one of the largest names in South Sea pearls because they operate in Broome in Western Australia as well as in the tropical shores of Indonesia and, working with other farmers, handle some 300,000 pearls a year. 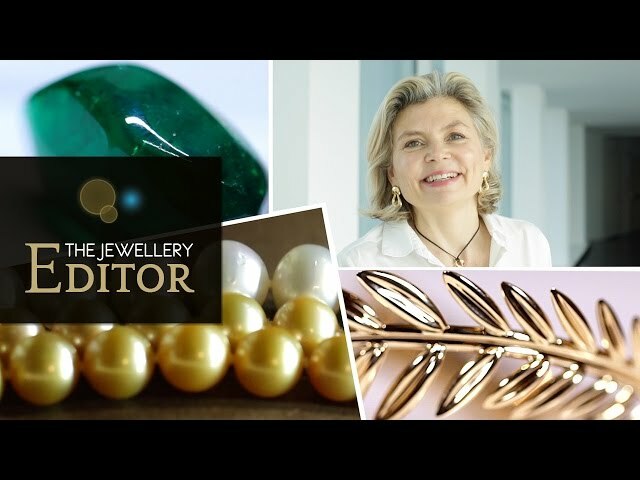 Founder and CEO Rosario Autore told us about the magic of white South Sea pearls and why they are different. The perfect white pearl, Rosario Autore tells us, is identified by its excellent lustre or shine, where the reflection in the pearl is mirror-like and creates an iridescent reflection. Rosario Autore tells us to look out for an intense lustre, diversity of shape and a wild spectrum of colour palettes. 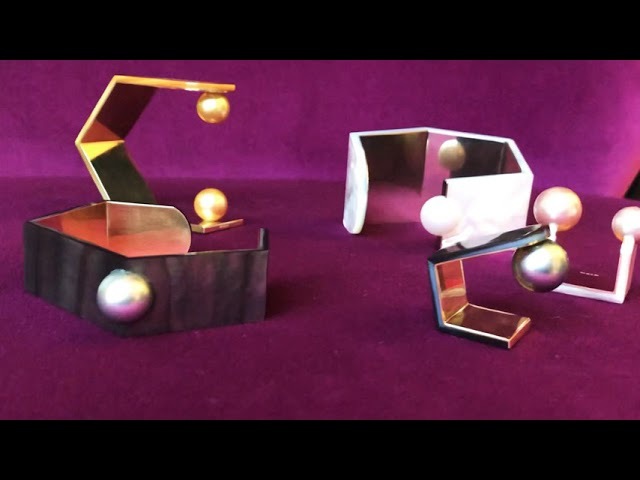 Take this Vanda cuff, which shows just how creative Autore can be. Inspired by the blue Vanda orchid native to Australia, here some 44 very rare, large Keshi pearls from Autore’s Australian farms are combined with 7,000 diamonds and both rough and faceted sapphires. Rosario Autore tells us that he is very much attracted to the Keshi pearlbecause of their unique shapes, and no two are alike. Rosario also tells us that these baroque shape pearls have an intense lustre as the pearl is 100% nacre. My second choiceis a rare treat because this is in fact a natural pearl and it sits at the centre of this brooch made by Glenn Spiro in the form of an Indian turban ornament. The droplet-shaped natural pearl once belonged to one of India’s royal families in the 18th century. At the other end of the price spectrum is my third choice and it’s Mizuki’s choker, which I have chosen because it brings a fashion element to pearls. New York-based Mizuki says she likes to infuse her jewels with a fashion feel and loves the organic shapes that create contrast with her minimalist designs. You can imagine how hard it was to narrow down my choice to just three. I have seen so many amazing pearl jewels this year and I think what we’re seeing is a greater appreciationof the organic and very natural beauty of the pearl, which is inspiring these designers to ever-greater heights of creativity.